The Rob metal basket from ferm Living is characterised by its graphic, asymmetrical expression, which blends in particularly well with modern surroundings. Made of powder-coated steel, it is particularly stable and also sets noble accents. 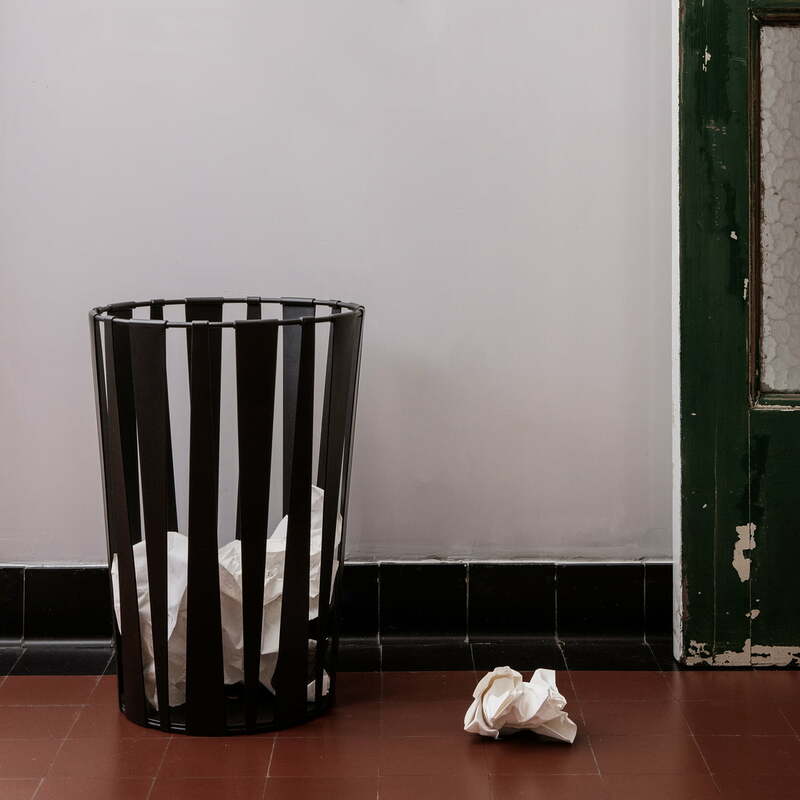 The metal basket can be used as a garbage can in the office, but it can also be used to store gift wrap paper or other stationery, thus ensuring order. 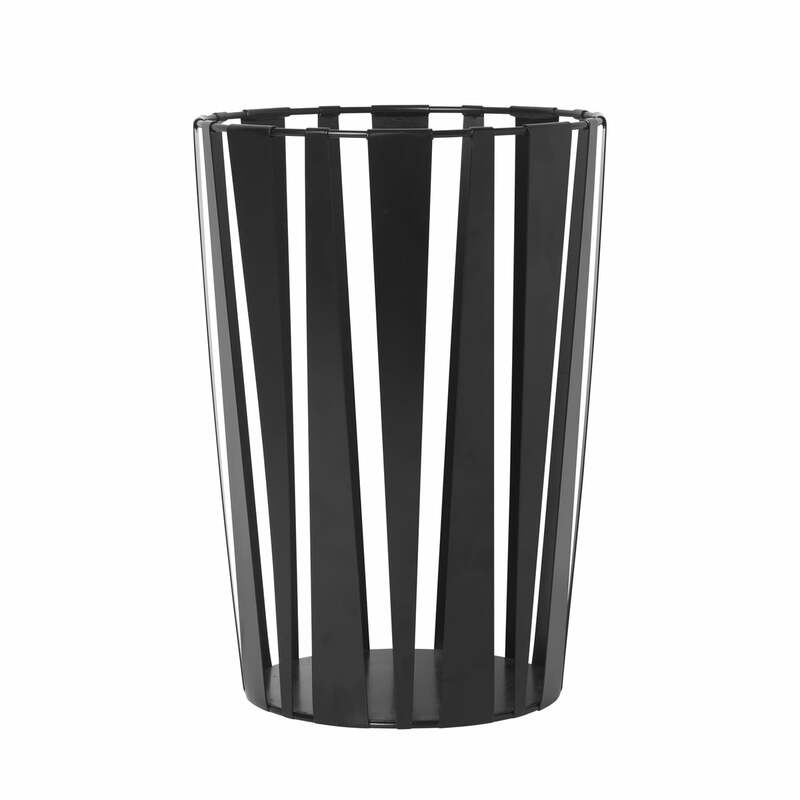 Rob metal basket in black from ferm Living in single view. The Rob metal basket from ferm Living is characterised by its graphic, asymmetrical expression, which blends in particularly well with modern surroundings. Rob metal basket in black from ferm Living in the ambience view. 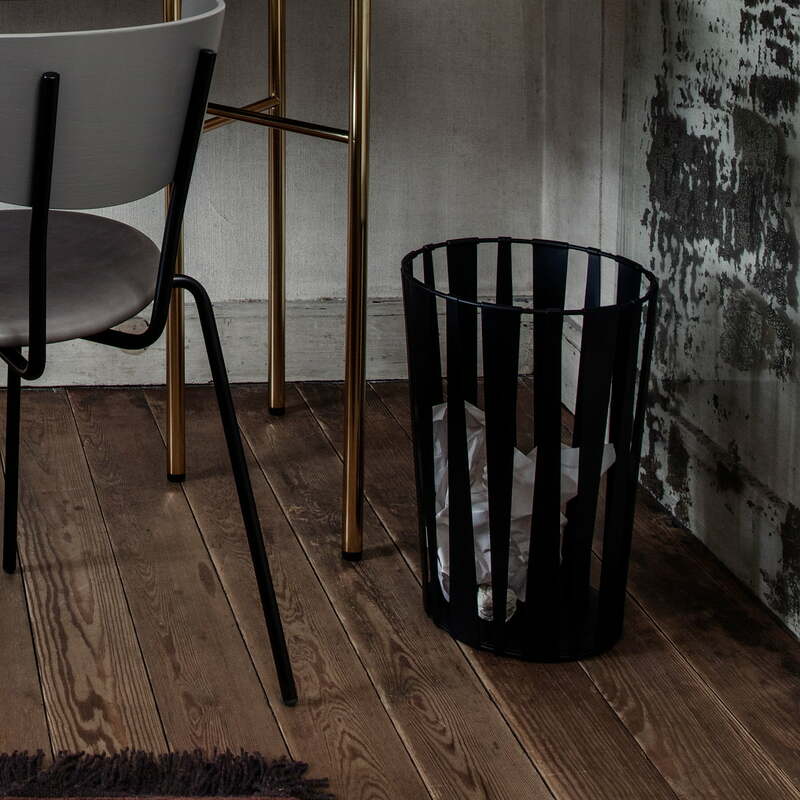 The Rob metal basket from ferm Living can be used as a stylish waste bin for paper in the office. Rob metal basket in black from ferm Living in the ambience view. The Rob metal basket can be used as a stylish wastepaper basket in the office. There he fits in wonderfully.